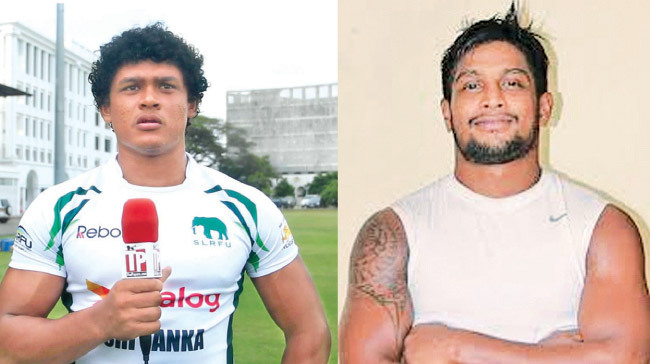 Sudarshana Muthuthanthri, who has represented the country since 2012 with distinction has been appointed captain of the Sri Lanka National 15-a-side rugby team by the national selectors for the Asian Rugby Championship 2016 to be held in Malaysia later this week. Muthuthanthri replaces Fazil Marija who is recovering from a spinal injury as captain. Muthuthanthri who represents one of Sri Lanka’s most prominent clubs Havelocks Sports Club, is a versatile player with great experience and the additional responsibility as captain on the 25-year-old player will certainly be a positive sign for the future. As Sri Lanka’s first choice number eight, Muthuthanthri is a player with fine ball handling skills and smart rugby brains to suit both versions of the game – 15s and 7s. He mastered his rugby skills at S. Thomas’ College Mount Lavinia whom he represented in 2009-2010 as a flanker. He later went on to play for Havelock SC where he became vice captain in 2012 under Henry Terrance when Havelocks won the Dialog League. The forceful flanker then took over the captaincy of the club in 2013 and they finished runner-up. In 2014 under his leadership Havelocks ended up third. Muthuthanthri has been a regular member of the Sri Lanka 7s and 15s teams since 2012 and led the national side when Sri Lanka toured China for the first leg of the Asia Sevens Series ending up overall fourth. From playing flanker in the 15-a-side game, he worked his way through to the sevens version to become a potent forward for the Tuskers. Meanwhile Roshan Weeraratna, who has been representing the national side since 2009 has been appointed Sri Lanka 15s vice-captain to Muthuthanthri on the tour. Weeraratna who is 26 years old has represented Kandy SC. He is a versatile player with great experience. As Sri Lanka’s first choice scrum half, Weeraratna, a former Kingswoodian is a utility player and a reliable place kicker. He represented his school in 2007 as a scrum half and was the vice-captain in 2008 before being appointed as captain the following season. He joined Kandy Sports Club and to-date he continued to serve them being captain in 2013/2014. Sri Lanka will compete against Malaysia, Kazakhstan and Philippines in the Asian Rugby Championships. The team is due to leave for Malaysia on May 5 and will play their first match against the host nation on Sunday May 8.